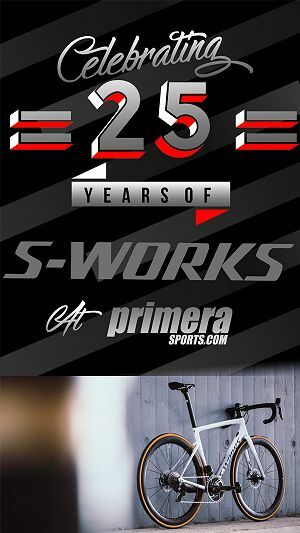 Terry has had riders winning time trials on his frames since 1980 including competition records and national championships. â€œWe know how to make a bike fastâ€ says the designer of the frame who has been involved in designing bikes to win Grand Tour Prologues, the Grand Prix des Nations and setting Hour records. All that experience over the years has come together in this one frame. 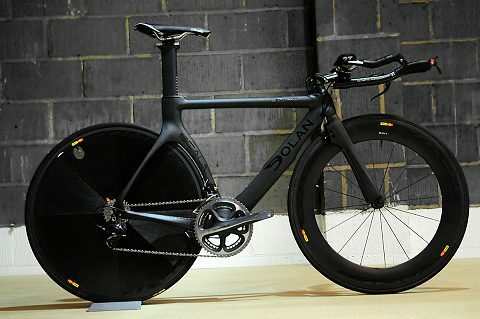 The Scala is a fourth generation time trial machine that is several thousands cheaper than similar frames from other manufacturers. The bike photographed, in matt black, is all new and very different to the previous model, the Stryke. 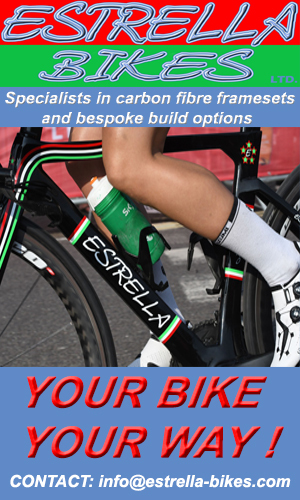 Designed from the road up, the carbon frame with brakes hidden away from the airstream, is only available in small sizes (46-50cm in normal bike sizes) right now with new sizes becoming available over the coming months. 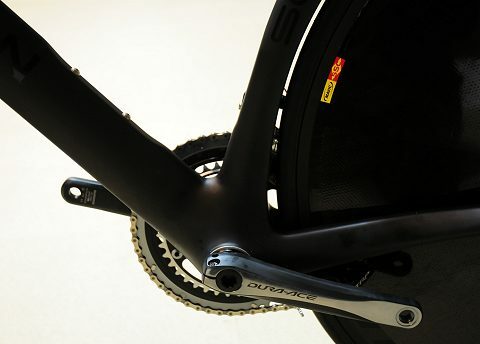 The previous model, the Stryke, was a derivative of the DF3 track bike with a time trial back end on it. The Scala though is all new! It has a completely new front fork with an integrated brake behind the fork crown as well as the back brake integrated with the frame behind the bottom bracket. 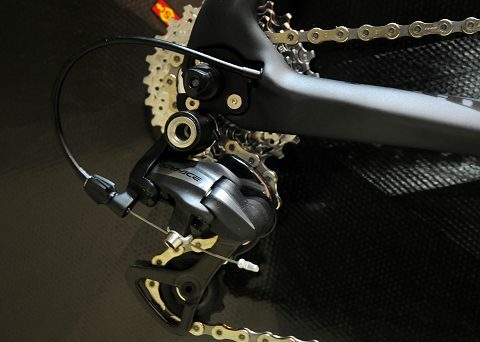 It is also Shimano Di2 (electronic) compatible as well as taking cable groupsets. It still has horizontal dropouts but has adjusters so you can move the wheel backwards and forwards. 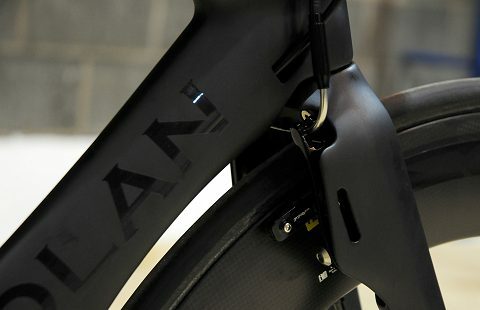 The frame, which will be available for under a thousand pounds, will be available in four sizes and Terry explained that the seat pin will need trimming for specific riders to get the height right as it comes up against the curve of the seat tube. 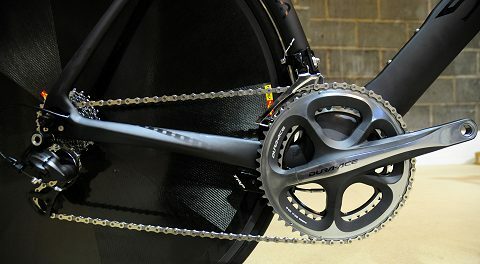 Because of this, Dolanâ€™s prefer to assemble the bike (add Â£110 for that) for the rider at the factory because it is so high end. Things like the setting up of the brakes, the cables, the seat pin length and so on all need the eye and hand of a professional mechanic. 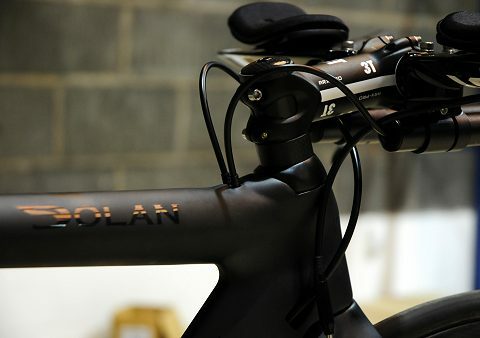 Itâ€™s taken 18 months from the design stage to the release and they Dolan Bikes have had a prototype for seven months on the road making sure everything is as it needs to be which it is after a few tweaks and lots of positive feedback. 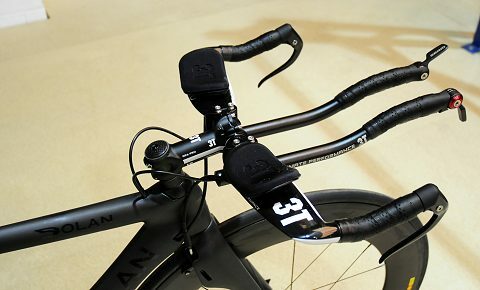 During the design of the bike, Terry explained they stayed away from having the stem level with the top tube because that restricts the height of the stack you can have and in reality, only gives you one position unless you stack the handlebars and not all tri-bars allow you to do that. 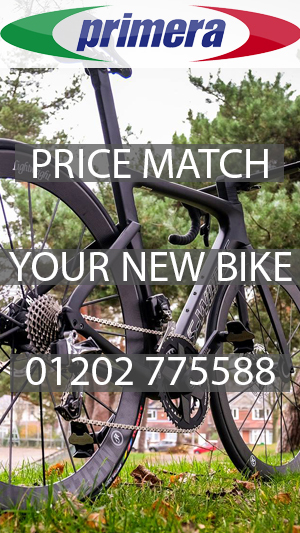 Priced at Â£999.99, the frame is far cheaper than similar time trial frames with the same features and that buys you, frame, fork, headset, seat post and brakes. Asked what groupsets can be used, Terry explained that Shimano, SRAM and Campagnolo can all be used with the Scala. Dolanâ€™s can also supply a variety of disc wheels from top end suppliers such as Mavic and Zipp as well as others. 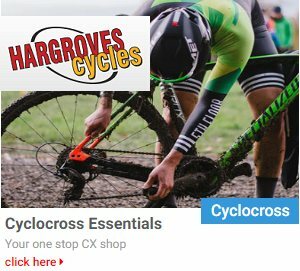 The bike pictured has the 18mm Mavic Cosmic front disc and Comete rear disc and the cost of the bike here is around Â£4,300, a bit more than you would pay for top end time trial frames only from some of the well known manufacturers. Surprisingly, the biggest part of that cost is the wheels and not the frame! All new front fork with front break behind the fork blades. The design of the frame goes beyond just what you can see. The BB86 Bottom bracket shell is compatible with all BB fittings. 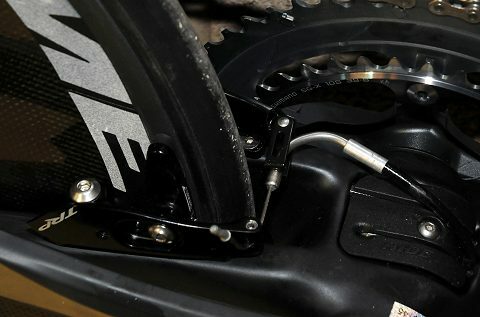 The front forks and rear chainstays have inserts for the brake to avoid compromising the carbon fibre housing cavity so the brakes can be attached more securely. 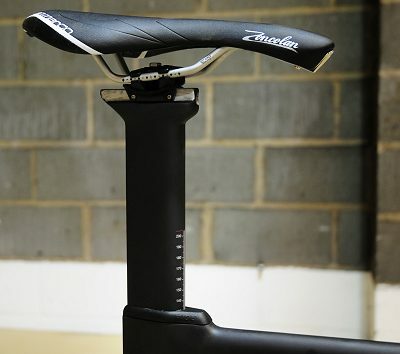 As does the seat post area so the carbon is not stressed by the force of the seat clamp which need is too quite high on aero seat posts and itâ€™s the attention to detail that makes the frame so special. 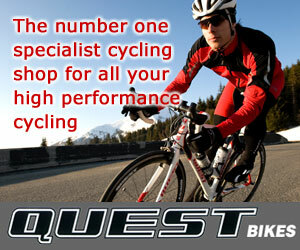 If the attention the bike got on a preview on the VeloUK facebook page is anything to go by its going to be popular! 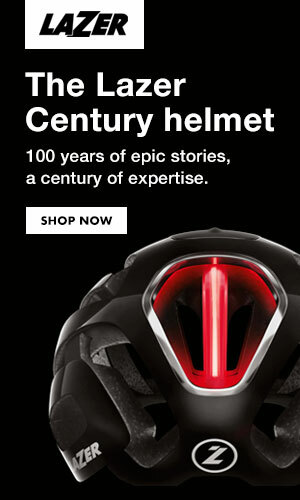 And so it should coming from a designer of bikes for pro teams during the 80â€™s and 90s and to this day. Mavic Cosmic deep section 18mm front wheel and Mavic Comete rear disc.